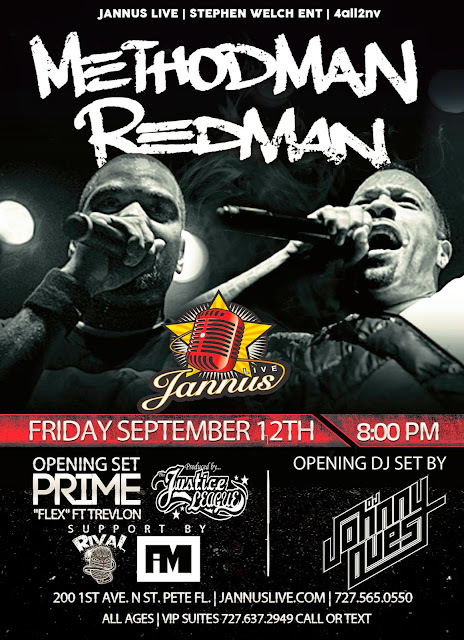 On September 12, 2014, Method Man and Redman performed together at Jannus Live in St. Petersburg, Florida. As my brother and I are standing outside the venue, we noticed a limousine parked nearby. I knew it was too early for Meth and Red to already be in the building, so I told my brother that I bet that's the car that's going to pick them up. A few minutes later, a guy got into the car and it drove off. I watched to see which direction it was going and told my brother that if it makes an immediate left, then I know where it's headed. Sure enough, it turned left. It was a short walk to where I believed it was going, so we followed. About 5 minutes later we spot the limo parked exactly where I thought it would be. The driver was standing outside, which led me to believe that he was waiting on them, so my brother and I went into the hotel lobby and sat down. 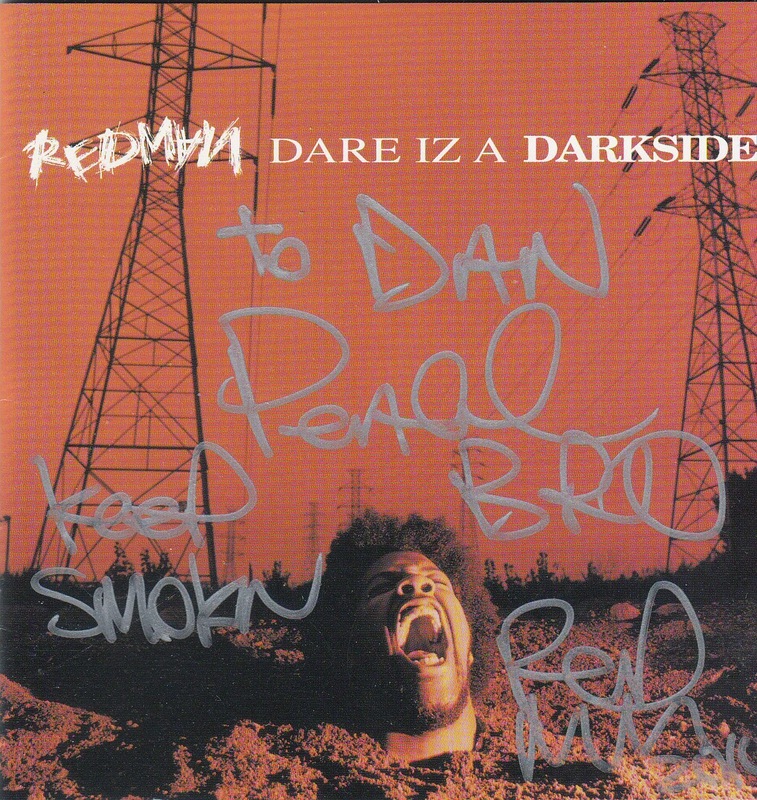 About 30 minutes later I recognize Redman walking toward us. 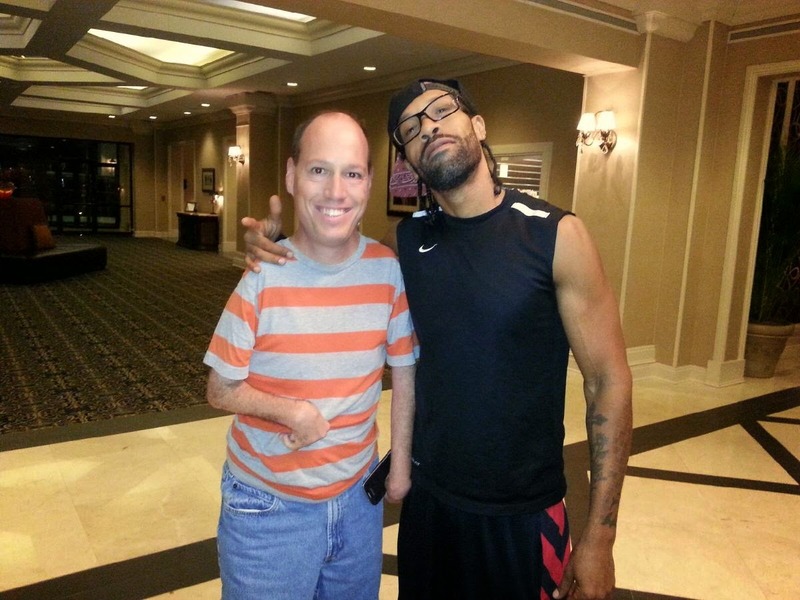 Like Method Man, he was really cool, too. Signed an autograph for each of us and took pictures. Redman signed the front cover of his Dare Iz a Darkside CD.